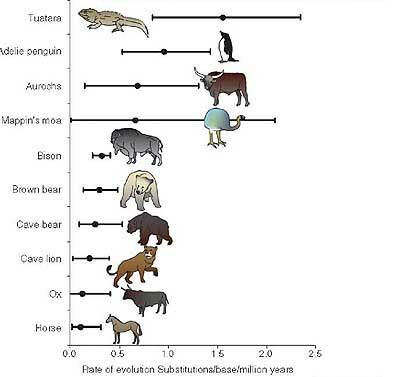 Rapid molecular evolution in a living fossil. 2008. J. M. Hay et al. 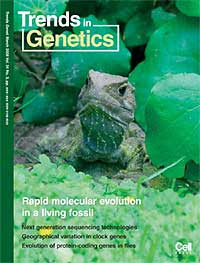 Trends in Genetics 24: 106-109. In a study of New Zealand’s “living dinosaur” the tuatara has recovered DNA sequences from the bones of ancient tuatara up to 8000 years old. They found that although tuatara, have remained largely physically unchanged over very long periods of evolution, they are evolving - at a DNA level - faster than any other animal yet examined.